This year’s annual canned food drive will begin on Thursday, November 2, 2018 – Thursday, November 15, 2018. 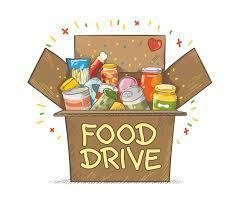 Each student is asked to bring two or more cans of food. STM will try to collect 400 canned items. Please see attached flyer for further information. Thank you STM and God Bless You!